Brecken Hancock's poetry, essays, and reviews have appeared in The Puritan, Arc, Best Canadian Poetry in English, Best American Experimental Writing, The Globe & Mail and Hazlitt. Her first book of poems, Broom Broom (Coach House, 2014), was shortlisted for the ReLit Award and won the Trillium Book Award for Poetry. It was also named by The Globe & Mail's Jared Bland as a debut of the year, and appeared on a number of year-end best-book lists, including the National Post, All Lit Up, and BookThug's Best Reads. Brecken will be reading from current projects, including a book of essays and a graphic novel. 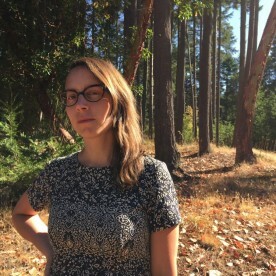 Camille Martin is the author of four collections of poetry: Looms (Shearsman Books, 2012), Sonnets (Shearsman Books 2010), Codes of Public Sleep (BookThug, 2007), and Sesame Kiosk (Potes & Poets, 2001). Above Ground Press is publishing a chapbook in early 2014: Sugar Beach. 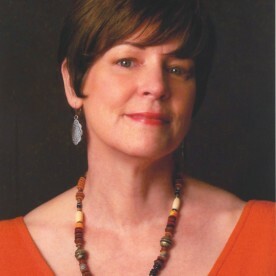 Martin has performed her poetry in over thirty cities in Canada, the United States, Ireland, the United Kingdom, and France. She holds an MFA in Poetry from the University of New Orleans and a PhD in English from Louisiana State University. She has lived in Toronto since 2005. Her virtual homes are RogueEmbryo.com and CamilleMartin.ca.